I think I might have been the last person left in blog-land that hadn't made these cookies yet. I see them everywhere I go and most of the blogs claim that they are THE BEST EVER. Did they live up to the hype? You'll have to decide for yourself. I have tried so many different recipes, like this one and this one and I always seem to like each and every one in some way. I thought these New York Times cookies were really good. They were soft, chewy, buttery and they melted in your mouth. My friend told me they were in her top 3! I loved the texture of them and the flavor was good, but I really LOVE the flavor of this recipe. If I could somehow combine the two? I might just have to start experimenting!! Sift flours, baking soda, baking powder and salt into a bowl. Set aside. Using a mixer fitted with a paddle attachment, cream butter and sugars together until very light and fluffy, about 5 minutes. Add eggs, one at a time, mixing well after each addition. Stir in the vanilla. Reduce speed to low and add dry ingredients and mix until just combined, 5-10 seconds. 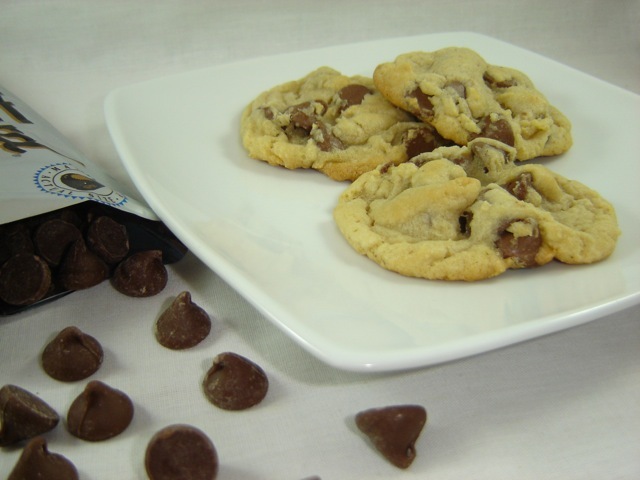 Drop chocolate pieces in and incorporate them without breaking them. Press plastic wrap against dough and refrigerate for 24-36 hours. Dough may be used in batches and can be refrigerated for up to 72 hours. When ready to bake, preheat oven to 350 degrees. Line baking sheet with parchment paper or spray with cooking spray. Use a small cookie scoop and drop dough onto baking sheet. Bake until golden brown, but still soft, about 12-13 minutes. Cool on baking sheet for 10 minutes then transfer to rack and cool completely. Repeat with remaining dough or reserve dough for baking the next day. Yield: 4 dozen cookies. 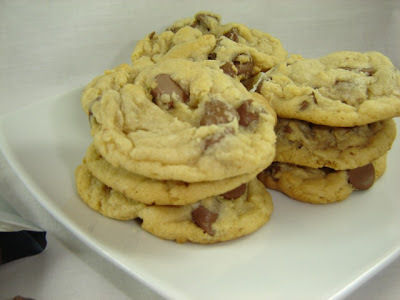 **Jenn's Notes: I baked one batch of cookies the first night, right after I finished mixing them and they were yummy. Then, I baked the rest after the 24 hour chill time. I tasted one from the first night and one from the 2nd night side by side and they tasted the same to me? So, if I was to make these again, I wouldn't bother with the chill time. However, I read on several blogs that something magical happens after the 24 hours and they taste way better? So who knows? I've made these and they were delicious! We are them so fast that they never made it to the blog... !!! Very similar to one of my favorite chocolate chip cookie recipes. I do find that chilling the dough overnight intensifies the flavors in the cookies. :) I'll have to try these! Fantastic!! 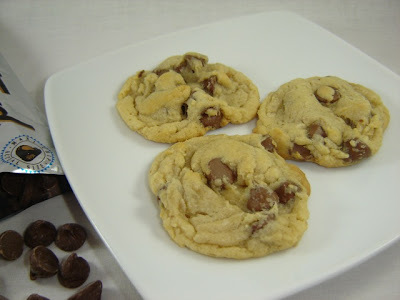 And you are not the only one that has not tried these cookies....I am next. You may have been the last to bake these but they certainly look like they were worth the wait! I've been wanting to try these cookies but then I remember about the chilling time and I decide against it. Thanks for letting me know that it doesn't male that big of a difference! They look delicious! Does It have to be cake flour?These look great!